Found this on Craigslist in my parents hometown so I had my dad pick it up for me. Paid $70. I think I got a great deal. I plan on doing a drop bar conversion on it, changing out the seat and the tires and that's about it. It's in pristine shape. I plan on using it for bikepacking. Anyone else have any experience with Alpinas? Paint is in amazing shape for a 22 yo bike. I ran my 87-ish Alpina Pro for quite a while in different configurations, enjoyed them all. But the headset was indexed bad and now down on the coast I have mothballed most of my MTB's. Loved the smokey chrome look. Enjoy your Univega and show us how you have set it up. I also had one before giving it to my brother as it fit him better. Very nicely built bike and i sort of regret letting it go! 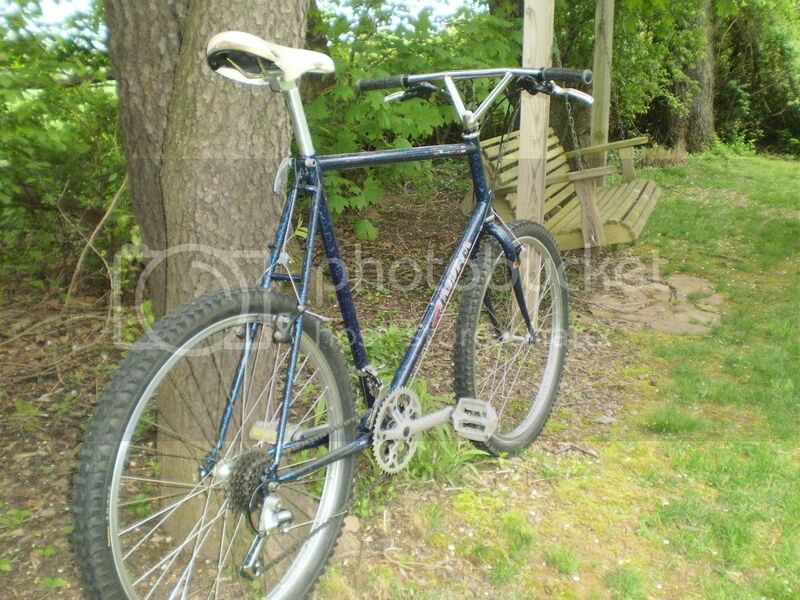 I'm starting to look at a drop bar conversion for this bike. Anyone have any bar recommendations? The prime candidate now is the Salsa Woodchipper. I also would like to install a 1" threaded to 1 1/8" thread less converter. There are a couple on Jenson, the Dimension seeming to be the best. Does anyone have experience with these? Lastly, can anyone recommend some bar end shifters that will work with the 7 spd rear freewheel and 3 spd front crank? Right now the diacomp friction shifter are at the top of the list. You might like the On One "Midge" or the Soma "Portola" or "Junebug" bars. Salsa bars are nice too - I've got the Salsa Cowbells on my Surly and like them a lot. They've got a new one called "Cowchipper Drop Bars". Cross between a Cowbell & Woodchipper. 1993 Univega Alpina Uno - Great bike! I had that exact bike 20 years ago. Same paint, parts and all. Perfect weight, smooth transition between gears, always a great ride on the road or off. I still consider it my favorite bike I've had, and I have had a few bikes since. I brought mine with me across Canada from Halifax NS, to Vancouver BC, and it was stolen. Not sure what part of the world you are in, but if in North America and are considering selling..? Just about any bar end shifter will work in friction mode. The Diacompes appear to be very nice. I got mine as a frame and built it up from spare parts. I stupidly sold it, twice. I never did a drop bar conversion on it, so I can't wait to see how yours turs out. I have a dimension threadless converter and a veloorange one too. They are both fine...its a wedge bolt mounted to a stick of metal...not too much to say on them. The dimension stem has an oddly long threadless mount. I have a threadless stem and 10mm spacer on that stem. Not sure why its so long, but the spacer fits perfectly and makes the transition from thin to chunky a little more seamless. Origin8 has a threadless converter too, along with other companies. They are often times slightly different in texture/finish and look. I have an Origin8 Gary OS Sweep bar and love it. If I were to buy another one though, id probably go with the Salsa cowchipper. As mentioned, the bend and sweep is right between the woodchipper and cowbell. The woodchipper is a pretty severe bend and sweep, at least for me. The woodchipper/Gary OS Sweep bars are enough for my needs and look. I dont know of any 7sp indexed bar end shifters by Shimano. I have some indexed SunTour Accushift barcons though, so maybe Shimano made indexed ones back then too. But any older bar end shifters can be used in friction mode and would therefore shift a 7sp freewheel just fine. I got my 'Vega in 1993, and it looks *just like* yours. I still have it, and it's all original (except for the tires, of course). 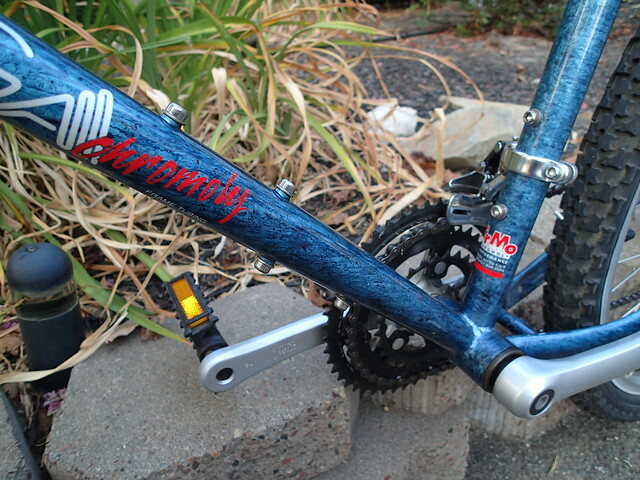 But that's about to change: one of my shifters broke, and I can't find an original set, so now I have to buy some late-model Shimano shifters if I want to keep riding. 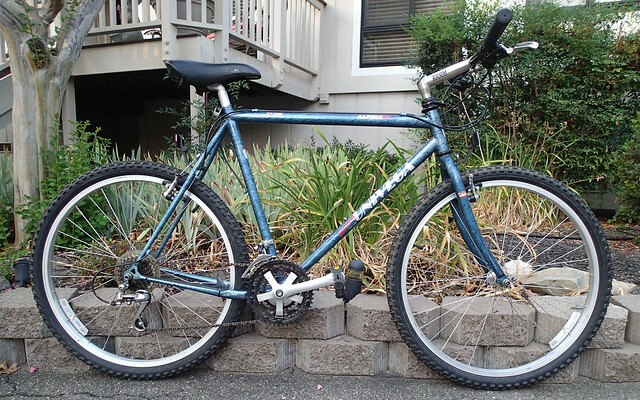 It's the best bike I've ever had, and I wish I had a nickel for every mile I've ridden on it. You're a lucky guy. I wish I had another one (bare frame-set, maybe) to mod, because I can't bear to mod mine. Interesting routing for the derailer cables. Great looking bike. I'd have been tempted to keep it as-is and instead convert my '92 Via Carisma to drop bars. Here is my '84 completely original and in crazy nice condition as given to me by the original owner.